The Wolverine did its best to make us forget about X-men Origins: Wolverine. Hugh Jackman took his adamantium claws to Japan and carved out a movie that was, although problematic, a crowd-pleaser. Do the toys make the cut? 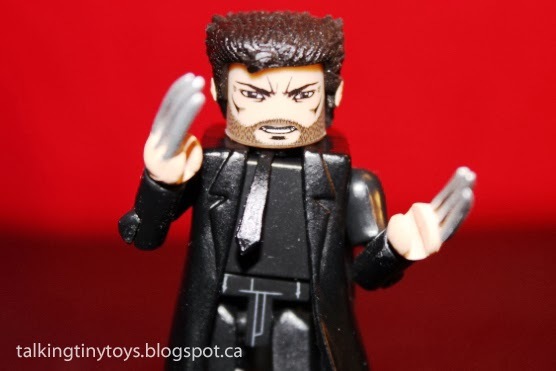 Today I'm taking a look at The Wolverine minimates! I received this set of minimates as a Christmas present (because my friends and I like to feed each other's obsessions). 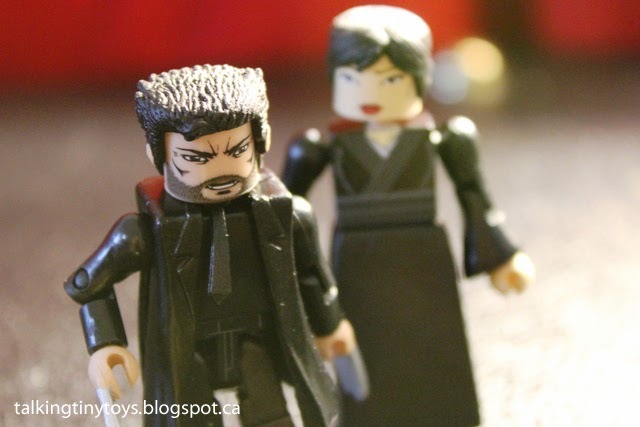 While I enjoyed The Wolverine, I didn't find the merchandise all that exciting. I have have dozens of Wolverines and none of the new stuff really made an impact. 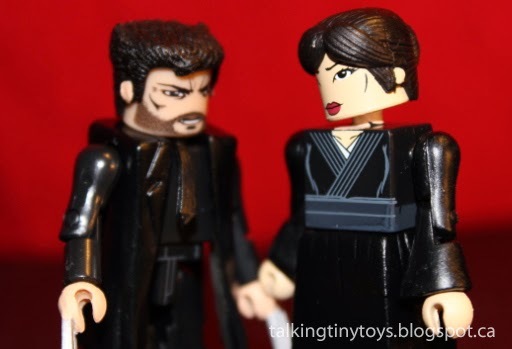 Still, I'm not going to turn down action figures! 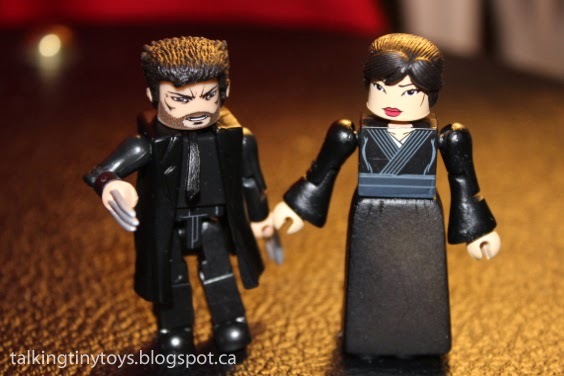 The Wolverine was a smaller film - basically one location, a self contained story, no other x-men (excluding the post credits) - but I didn't expect the minimates to be quite this generic. Everyone is in street clothes or suits. Viper could easily be confused for Pepper Potts. Even Yukio is dressed conservatively. 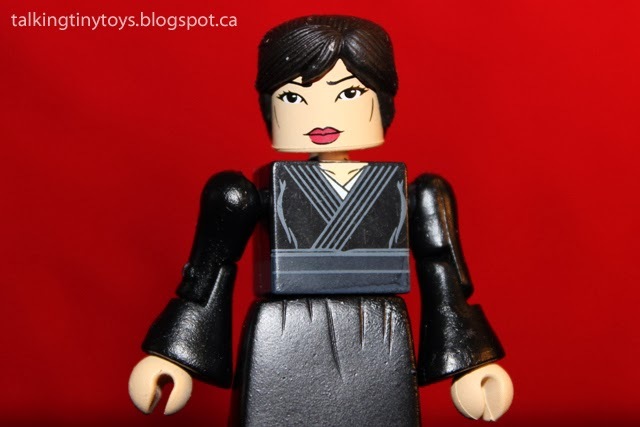 There is a lot of black plastic in this set. Just take a look at Wolverine. Black pants, black shirt, black tie, black jacket, black shoes. Black, black, black. There are a few painted details on his jeans and a little molding of the collar and coattails but that's it. 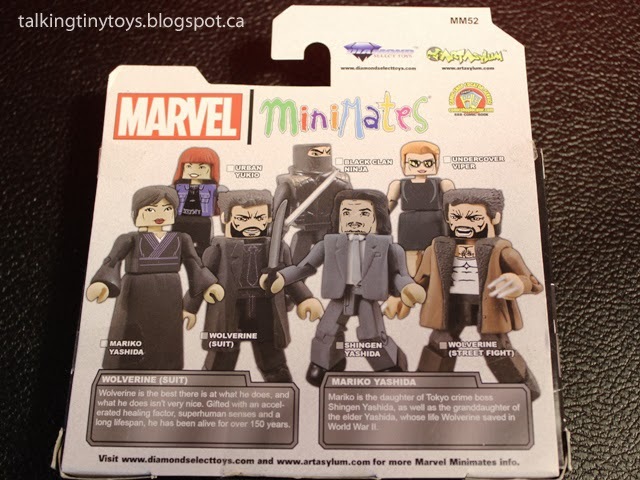 Compared to the crazy detail of the Thor: The Dark World minimates, these are completely lackluster. It's hard to believe they came out in the same year. The facial detail almost makes up for the generic clothing choices. 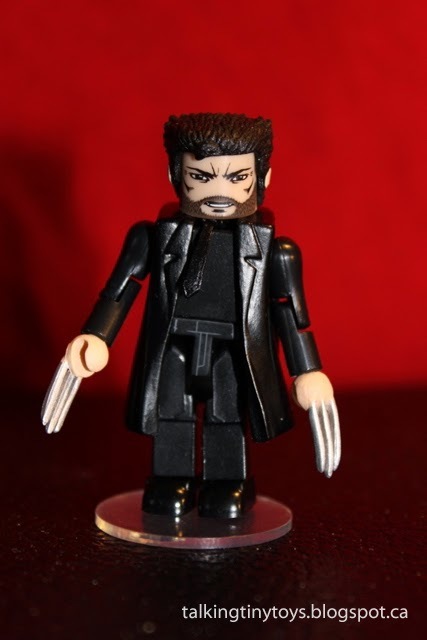 The eyes actually make the figure look like Jackman. The hair is a little different, with a slight curl in front and I like that the tie is its own separate piece instead of painted on. 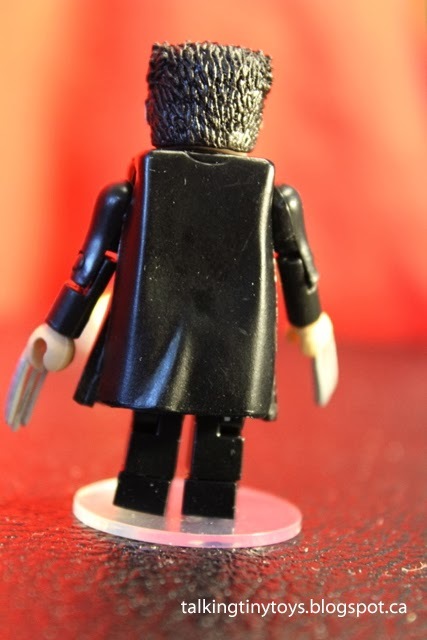 As usual, Wolverine comes with a set of clawless hands, which I will probably never use. 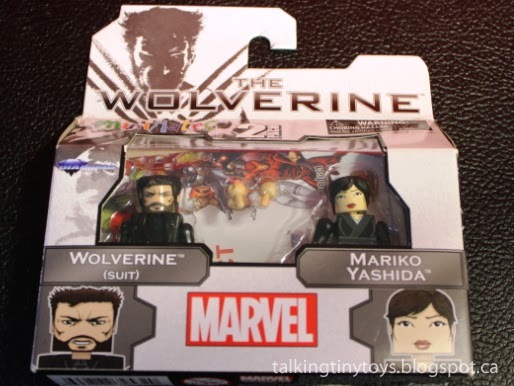 Mariko is Wolverine's love interest in the film and wife in the comics. 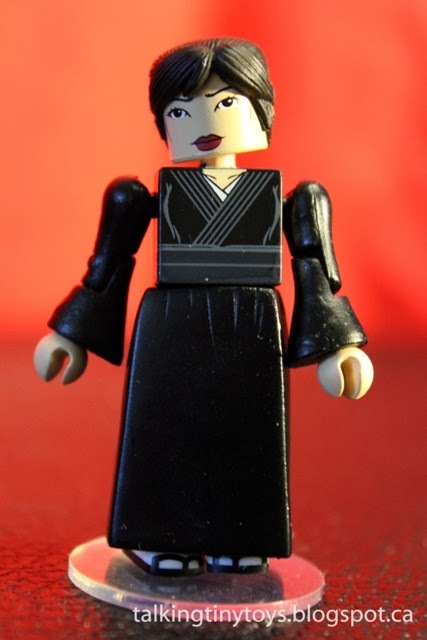 She's wearing (surprise) a black traditional dress with her hair pulled back into a bun. She has a simple, but very pretty face, with bright lips, piercing eyes, and fantastic eyebrows. 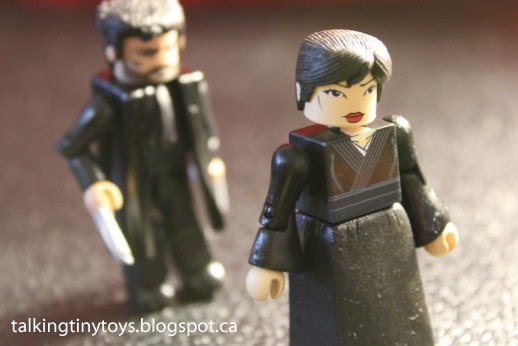 The front of her dress has a little more detail than Wolverine's outfit. She has a grey belt around her waist,and the hint of a white blouse underneath. 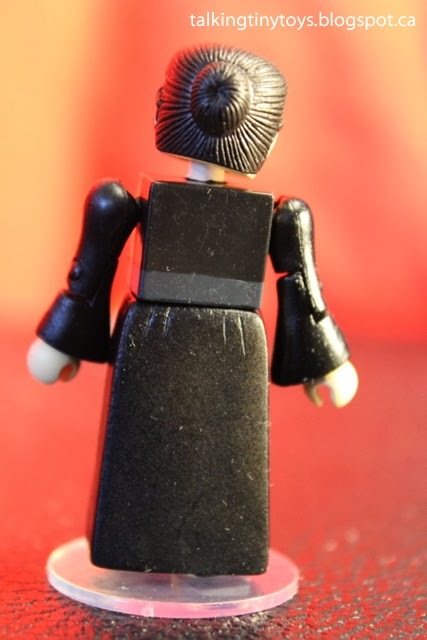 Even the basic minimate figures have interesting details that I love. Her tiny sandals and bell sleeves are nice touches. 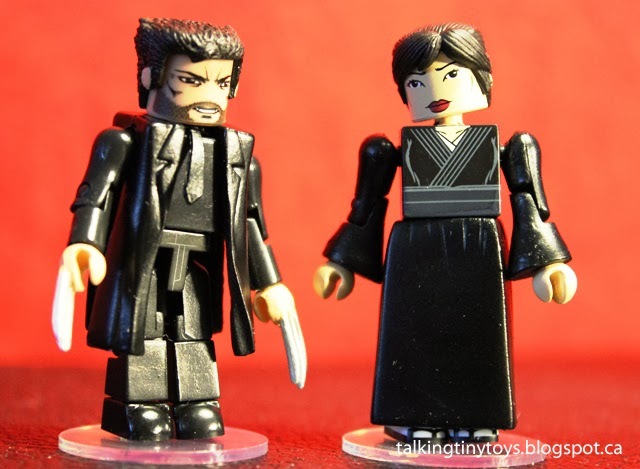 Wolverine and Mariko are not the most interesting figures in my collection but there is something striking about their simplicity. They kind of mirror my thoughts on the movie itself. They're a little predictable, they're good, not great and I'm glad they're in my collection but also glad they were a gift. Mostly they emphasize that I will still buy anything with Hugh Jackman's face on it.